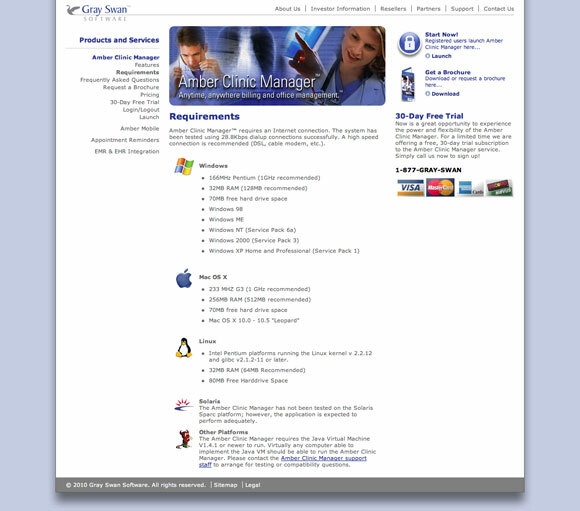 Continuing my relationship with Gray Swan Software, I developed this desktop-only Joomla 1.5 site in 2010. 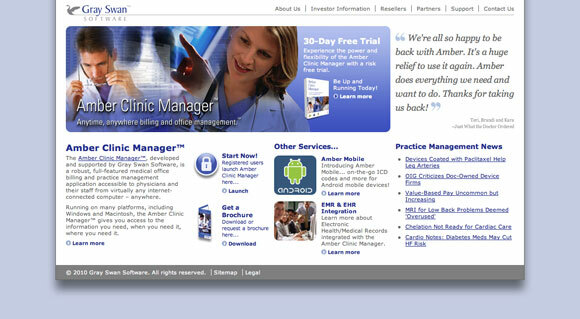 This project built upon my original 2004 static HTML design but offered CMS functionality and client maintainability. The template was designed and developed from scratch in HTML and CSS. Update: I redesigned and rebuilt this site in 2016. For details on that project, visit the newer Gray Swan Software portfolio page.